Born in Fort Niagra, NY, on 25 Jan 1897, son of a distinguished family including father MG Peter C. Harris, Adjutant General of the Army, and a grandfather Captain Doctor in the Confederate Army 1861-65. 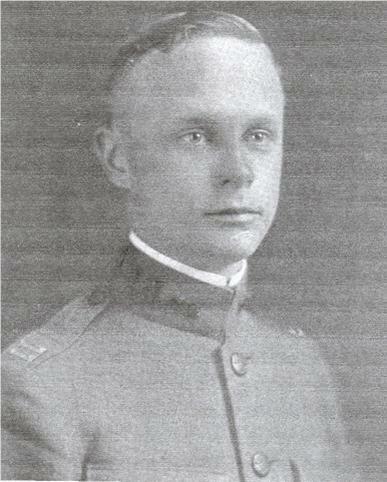 West Point class of 1918 (actually graduated in Aug 17 because of the war). As youngest CPT in the AEF, company commander in the 6th Engineers in continuous combat from 21 March until his death on 20 October. Mortally wounded while cleaning out a German machine gun nest in Clair Chenes Woods, he was captured by the Germans and died in captivity. A plaque in his honor hangs in Cullum Hall at West Point.